Islam teaches a deep love of the planet, because loving the planet means loving ourselves and loving our Creator. 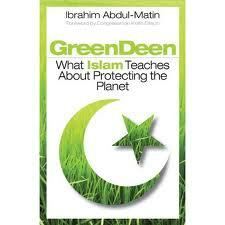 -Ibrahim Abdul-Matin, Green Deen: What Islam Teaches about Protecting the Planet (2010): 2-3. In my lifetime I have seen, among evangelical Christians, a new emphasis on environmental awareness, on physical fitness, on community formation, and changes in gender ideology. All of these changes reflected trends in the larger cultural environment, but all were incorporated into evangelical Christians’ authoritative discourse by being expounded from the Bible, as what the Bible had always said. – Brian Malley, “Understanding the Bible’s Influence,” pages 194-204 in James S. Bielo, ed., The Social Life of Scriptures: Cross-Cultural Perspectives on Biblicism (Rutgers, 2009), 202-203. 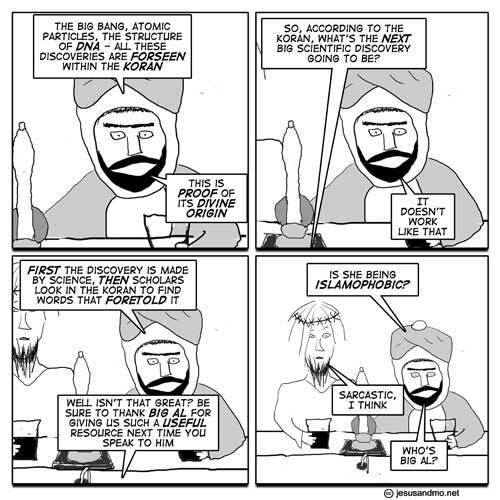 I wonder if the Qur’an possibly contains an unparalleled critique of colonialism and empire, too? Wouldn’t that be something? This entry was posted in Deane Galbraith, Religion and Society and tagged Brian Malley, Colonialism, ecology, empire, environment, Green, Green Deane, Green Deen, How the Bible Works, Ibrahim Abdul-Matin, Islam, Jesus and Mo, Qur'an. Bookmark the permalink.